Get all your implants with one set? Yes, it is possible with all on four dental implants! Find out how they work, their cost, benefits and functions below! The all on four dental implant technique allows the patients to receive an immediate fix for their dental problems. The implants are great way for anyone who has a lot of teeth missing in both rows of teeth which cannot be treated or restored in an effective way! Tooth loss is one of the most common problems faced by adults. The all on four dental implant technique calls for an arch of teeth to be fitted on four dental implants which are placed on the back and front in such a way that they provide support to the arch. Before all in four, you would have been required to replace the root of all your teeth with screws to get a strong and permanent solution to missing teeth. You may have to opt for dentures otherwise. But with all on four dental implants, you just need four for a full set of teeth! The dentist first checks your teeth to see if there is any other procedure to be performed since dental implants will be hard to remove once they are fixed. After your teeth have been thoroughly checked, your teeth will be mapped to provide a base for the arch. 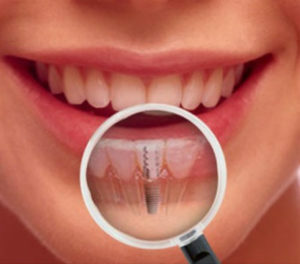 The dental implants are then inserted in strategic positions in the front and back of your mouth. The implants on the back are tilted at 45 degrees to help the arch stay stable and be supported in a proper manner. After this procedure is carried out, the arch is placed on the implants! Get your new set of teeth in one day! Contact The Smile Centre for All in 4 Dental implants! 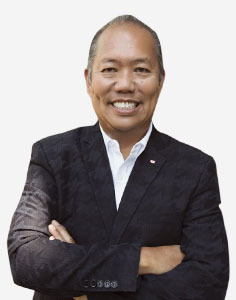 The benefits of all on four dental implant technique make it a preferred choice for most patients these days! What is the cost of all on four dental implants? The cost of all on four dental implants, while being relatively lower than getting an entire set of dental implants, depends on the number of teeth you need and which material you will be using to make the arch. Find out the cost of our all on four dental implants today! Call The Smile Centre now! This dental implant technique is revolutionizing the way dentists and patients are dealing with one of the most common problems in the dental world. With this technique, you can ensure you leave the dentist’s office with your new set of teeth! A healthier smile is just a call away! Get your all on four dental appointment today with the Smile Centre!